Vehicles manufactured before 1960 will be exempt from MoT testing, roads minister Mike Penning has confirmed. The new law, which takes effect from November 18, aims to cut the red tape faced by owners, who otherwise “tend to be enthusiasts who maintain their vehicles well” Penning said. “They don’t need to be told to look after them, they’re out there in all weathers checking the condition of the engine, tyres and bodywork. Owners of classic vehicles will still be legally required to ensure that they are safe and in a proper condition but scrapping the MoT test for these vehicles will save motorists money” Penning added. In Britain, cars registered before 1960 make up 0.6 per cent of vehicles on our roads today, but are involved in just 0.03 per cent of accidents, according to statistics. If you have a historic or classic car and still want to make sure it’s road worthy then bring it to us where we will carry out a ‘classic car safety check’. 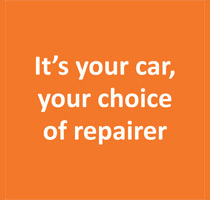 We will check your car over using the same procedures as a MOT which will keep you safe in the mind that your pride and joy is both safe for you and other road users. No related posts as yet.